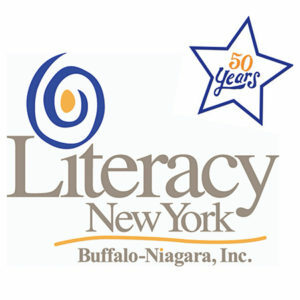 Literacy New York Buffalo-Niagara Inc. Despite being one of the largest areas for Yemeni resettlement in the United States, many immigrants living in Lackawanna, NY are unable to access much-needed literacy and ESL services. Though many services are available in neighboring Buffalo, major transportation barriers exist in Lackawanna which prevent many residents from accessing these essential services. 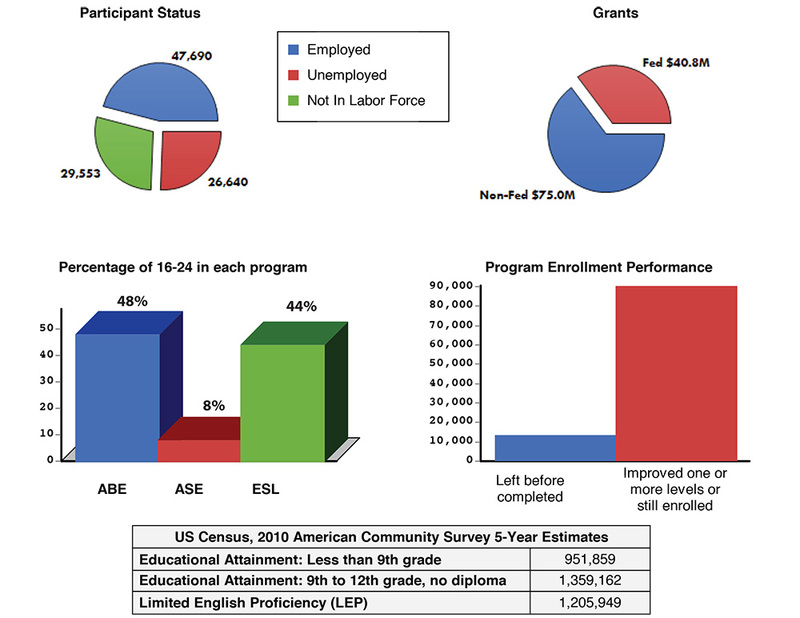 As a result, many residents struggle with English and reading, inhibiting their ability to assimilate or find gainful employment. Since Lackawanna residents couldn’t access the literacy services in Buffalo because of transportation barriers, we brought the services directly to the residents by starting a Literacy Drop In Center at the Lackawanna Library. This is a site based tutoring program at a set time each week with on-site tutors available to work with residents that need literacy services. The program was placed at a central location along a major bus route to make it easily accessible to city residents. Volunteer tutors from the community were trained to address the different needs of residents including improving their reading or writing, learning English as a second language, or studying for citizenship. Since launching at the end of January, the project has been incredibly well received. In the first four months, we have been able to provide 361 hours of literacy tutoring to 37 Lackawanna residents. As a result, Lackawanna residents who previously couldn’t access literacy services are now getting the essential tutoring services they need in reading, writing, and speaking that will open pathways to expanded opportunities for employment, naturalization, and long-term success. The challenge is to provide ESL and U.S. Civics to agricultural workers in rural Western New York State. Adult agricultural workers have little background in education and challenging work. To regularly attend, learn and succeed after long days in the (primarily) apple orchards year-round, in all weather condition, is rarely achievable. Farm workers who live in a rural, non-diverse community face tremendous social, cultural, linguistic, legal, and economic barriers with dreams for improvement. 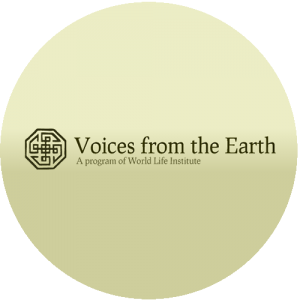 We are a year-round program addressing linguistic, cultural, and skills-based learning, along with U.S. civics and citizenship education for adult men and women. We collaborate with an NYS Arts Council to provide pottery skills and literacy program annually since 2004 for Hispanic women. We teach computer skills and ESL to all levels of students who work in agriculture. We work in camps and in a school. Agricultural women benefit year round with agreements for daycare. We have received the highest annual funding with a collaborative NYS Arts grant for pottery skills with English since 2004 for agricultural students. Six of our agricultural workers achieved Student of the Year from NYS for achievement above obstacles. No other NYS honorees came from agricultural backgrounds. Hispanic women learn pottery skills with literacy. 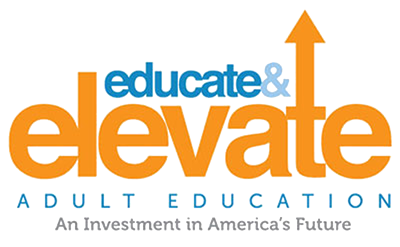 Academic, legal, economic, and cultural gains have been achieved via this program for the underserved agricultural adult population. Ethan was diagnosed with Perthes Disease, a rare childhood condition that left him in a wheelchair until the age of 9. Prior to Buffalo, Ethan’s family lived in Florida and Toronto. His single-parent homeschooled him for his high school freshman year. He didn’t receive enough credits to be a sophomore. He repeated his freshman year at Middle Early College but required surgery on his tonsils that left him unable to complete final exams, again leaving him with not enough credits to advance. 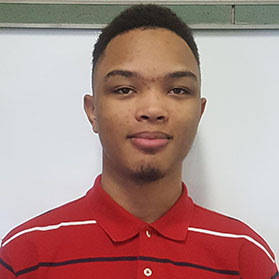 Shortly thereafter, Ethan enrolled at our Career Collegiate Institute in October 2016. Just six months later, he had progressed to the highest level class and was ready to take the TASC exam, which he passed on his first try. At the same time, Ethan served as a CCI ambassador, participating in speaking engagements as a student representative, leading building tours for prospective new students and providing other support for the school’s various activities and events. Additionally, Ethan has taken part in CCI’s mentoring program, in which he works with area elementary school children. Besim grew up in Bosnia where his education was abruptly halted due to civil war. He and his family were able to escape to the mountains in order to stay safe. At 11 years old, he came to the United States and restarted his education through different organizations. Besim struggled in public school due to his education gap and language barriers. He left school when it was determined he would not move on to 11th grade. After struggling to complete public school, Besim re-devoted himself to his education through the BOCES Consortium of Continuing Education. He began taking ESL courses at the Utica ACCESS Site. He then moved on to adult basic education classes, and high school equivalency classes. Even after gaining employment, Besim continued to prioritize his education, attending whenever he could. Besim was more comfortable with his education classes through the BCCE than he had been in public school. He was able to devote the necessary time to developing his language skills before he moved on to ABE/HSE content. Upon moving up to more difficult content, Besim was able to learn at his own pace, using strategies that he was comfortable with. As a result of Besim’s hard work and commitment to education, he was able to meet his goals. During his time at the Utica ACCESS Site, he continually showed improvement. In 2016, Besim passed the final portion of the TASC, earning his high school equivalency diploma. His dedication that was evident during his educational endeavors has also served him well in his career endeavors. Besim was also rewarded for his hard work by being chosen as a NYACCE student of the year! Mubarak Ismail is a child of Darfur, who was forced to flee Sudan at the age of 9 and seek refuge in Ghana. He came to America as a refugee in December of 2015 and enrolled in our program a few weeks later. Although he only had 8 years of formal education and spoke limited English when he began school here, Mubarak’s determination, intelligence, and work ethic led to him improve rapidly. In a year and a half, he has made remarkable progress where he is now ready to take the TASC exam for his High School Equivalency. Mubarak has shown remarkable leadership in and out of the classroom. He is always willing and eager to help others and never turns down a request for assistance. 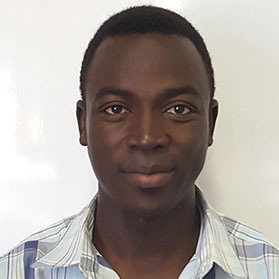 Despite attending school and working full-time, he found the time to volunteer to help others from his country learn to read and write in English. He also volunteers as a mentor for middle school students and helps maintain the school garden after class. Selected a Student Ambassador who assists new students during orientation and escorts visitors on tours through our school. Invited to speak at the United Nation’s symposium on Language, Sustainable Development Goals, and Vulnerable Populations. Considered to be a special individual, clearly bound for great things in his life. He has been an inspiration to both staff and students alike and embodies all the qualities anyone could ask for in a student and classmate. Esperanza came to the United States from Cuba with her mother and sister when she was 12 years old. They were in search of a better life. Tragedy struck two years later and the girls lost their mother. They were left to make their way alone. Weaving in and out of shelters, minimum wage jobs and trying to make it through school, Esperanza finally dropped out when she became pregnant in the tenth grade. Supporting her child had to take precedence, but she could see that working low-wage “dead end” jobs was not the dream they came to the United States for. Esperanza was referred to our Syracuse City School District Adult Education Program through JOBSplus! and entered with the help of our Literacy Zone case manager on the North Side of Syracuse. 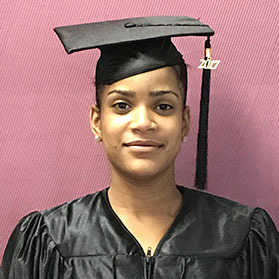 She was placed in an evening class where she began working toward her High School Equivalency Diploma. Her progress was temporarily put on hold when she gave birth to her second child. She didn’t give up on her education, however. Though it wasn’t easy, she navigated through finding care for her children and returned to class. Esperanza’s teacher describes her as “very smart.” “What she needed,” he says, “was confidence.” It was his mission to help her find it and motivate her to keep going until she earned the diploma. Katarzyna came to the United States from Poland with her husband and daughter by way of three years in a refugee camp in Germany. Katarzyna had had a good job in Poland within the government-managed forest industry, but with political upheaval, she and her family were forced to flee. Education was always important to her. She speaks fondly of the library she had amassed of over 1,000 books, which, of course, she had to leave behind to begin a new life in a country where she did not speak the language. Katarzyna was determined to make the most of this turn of fate in her life. She joined English classes through the Syracuse City School District Adult Education Program at the West Side Learning Center. She made friends, was a quick study, and moved on to the Office Technology class through which she secured an internship at the Onondaga Historical Association. 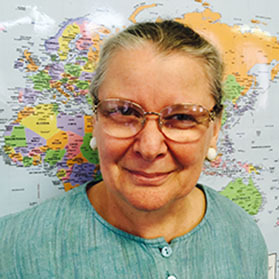 Katarzyna has become a vital part of our community. At school, she has built a reputation as a student who helps others, sharing her expertise and emotional support with her classmates and her teachers. She is a dedicated, enthusiastic life-long learner and civic volunteer. She has helped to publish a newsletter for the Center and wrote letters to local policymakers advocating for Adult Education. We are honored to be part of Katarzyna’s path to self-sufficiency in her new community.